The Atlantica Expeditions is preparing to release details on the Kou Walter Research Vessel which will be used to explore potential undersea sites for the 2009 world record underwater mission. The 24 foot craft was donated to the expeditions by Helme Vega Walter, daughter of Kou Walter, an Estonian born ocean explorer, Merchant Marine Captain and American patriot. 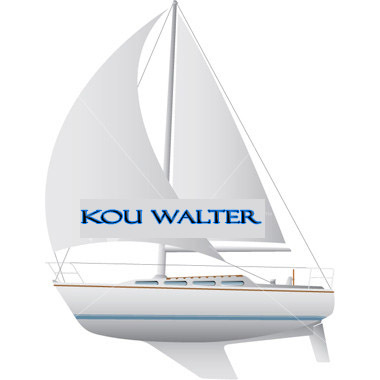 The Kou Walter was named by Atlantica Expeditions leader, Dennis Chamberland, in honor of Captain Walter because of his personal courage and example as well as his extraordinary commitment to world ocean exploration and education of young people in the exploration of the oceans. After World War II, Captain Walter continued sailing professionally until late in his life. He also purchased this craft to stay close to the ocean, and then asked specifically that it be given to a non profit group that would use it for ocean education. His daughter, Helme, said that this gift to the League was exactly what he would have wanted. She also noted that through television and newspaper accounts he had followed the undersea work in the missions of the Scott Carpenter Undersea Station in Key Largo. Captain Kou Walter passed away at his Merritt Island, Florida, home on December 7, 2004 and is survived by his daughters Aloha, Maia and Helme. The Kou Walter’s first exploration task will be a trek to survey in detail the underwater site designated as “Polaris One” now considered as one of the prime possible locations for the 2009 mission.